In many practical applications, probabilistic and bounded uncertainties often arise simultaneously, and these uncertainties can be described by using probability and convex set models. However, the computing cost becomes unacceptable when directly solving the reliability-based design optimization (RBDO) problem with these uncertainties involved. 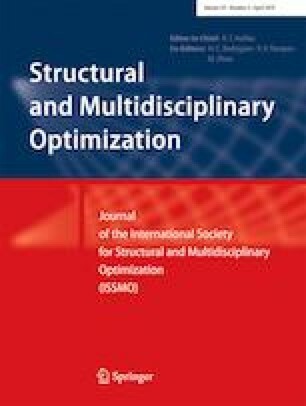 To address this issue, in this study, a sequential sampling strategy by extending classical sequential optimization and reliability assessment (SORA) method for RBDO is developed. The proposed strategy can successively select sample points to update the surrogate model at each step of the optimization process. New samples for reliability constraints are mainly chosen from the local region around the approximate minimum performance target point (MPTP) and worst-case point (WCP). Typical design examples, including one engineering application, are investigated to demonstrate the efficiency and accuracy of the proposed method. This work was partially supported by the National Natural Science Foundation of China (11302033, 11772070, 11672104), the Open Fund of State Key Laboratory of Automotive Simulation and Control (20121105), and Scientific Research Fund of Hunan Provincial Education Department (17C0044).